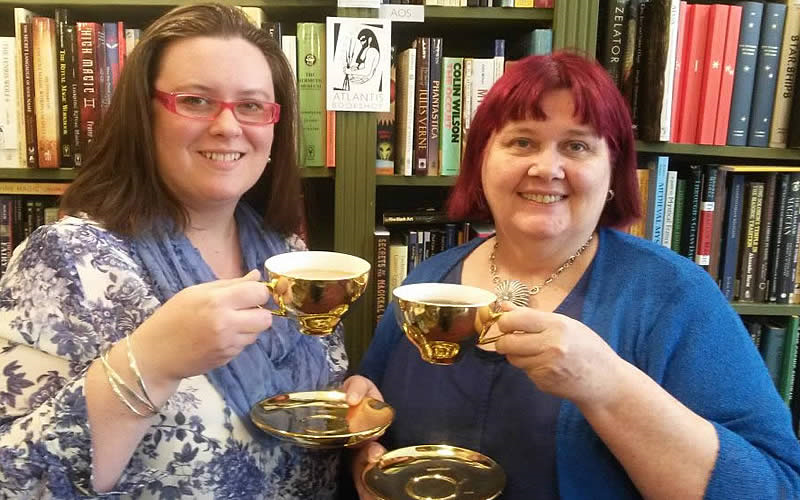 While so much in the modern Pagan community has come and gone, Atlantis Books in London has remained. Frequented by Gerald Gardner and an entire “who’s who” of occultists over the years, this store has been a gathering place for great minds to meet and share ideas since 1922. Geraldine Beskin took over the store from her father, and currently owns it together with her daughter, Bali. Tell us a bit about yourself. G: I come from a London family and was brought up right in the middle of it all in very central district. We saw the Houses of Parliament, Buckingham Palace and Hyde Park almost every day. What was your religious background growing up and how did it shape your journey? G: I went to a Church of England school and loved the daily assembly and church once a week. I often got called on to do a Reading which I rather enjoyed too. What are your religious beliefs today? G: Pagan. Like everyone else, I weave in a little bit of this and a little bit of that as it suits but principally I stick to the Western Mysteries. How did you first discover Paganism and magickal beliefs? G: Through fairy stories and folk tales. 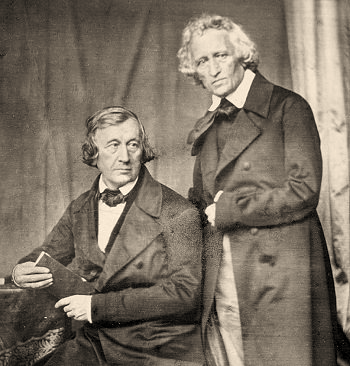 As well as reading them – remember the lilac, green, blue etc series from the Brothers Grimm? My grandmother told us tales of the Irish ghosts and fairies too. I also liked the Victorian kids books and so slipping through time was easy. 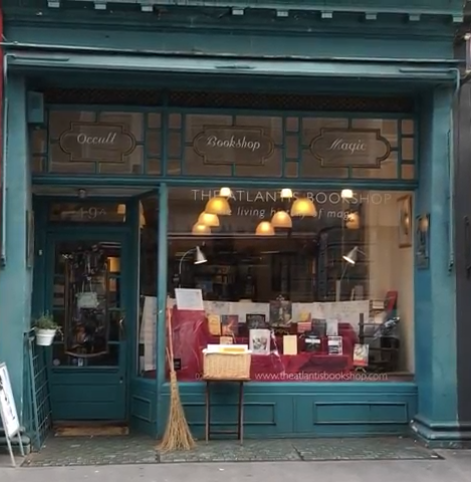 I have heard that Atlantis is the oldest occult book store focusing on Western magick in London. Is that correct? G: Yes. There is one other that is older than us, but they have always been more Mystical than Magical. How did the store begin? G: A couple of keen young men, Michael Houghton and Paul Brunton, thought it would be a good idea. If it was a sunny day they preferred to go to the park than open the shop! They were just kids but both remained occultists until they died. How did it get its name? G: I don’t know but the idea of Atlantis as a centre for refined esoteric knowledge is something we aspire to being. Can you tell us about the store’s founder? G: Michael Houghton was a Jew who became a Theosophist who became a Witch! 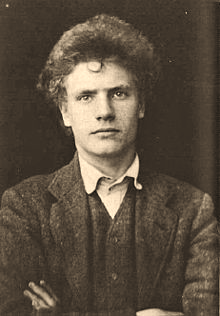 He knew Aleister Crowley and Austin Osman Spare very well. He also knew Tolkien, Yeats and Dion Fortune and anyone who was anyone. He and my father had a great friendship and the rest is history. 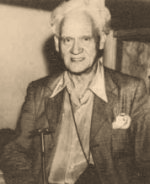 How did he get to know Gerald Gardner? G: Then like now, there were very few bookshops so people came to Atlantis for books on magic. They must have appreciated each other or Michael would never have agreed to Gardner and the witches meeting downstairs. This was in 1947/8 and witchcraft wasn’t legal here until 1951 so it was potentially a big risk. How did you get involved? G: I wanted to work here — so I did. Your daughter Bali has worked with you for over 15 years? Tell us more about her. G: I am delighted she and I are partners in The Atlantis Bookshop as she could have done anything but this is what she chose to do. We have complimentary skills but she has learnt a lot from working with me – just as I did from being here with my mother. The osmosis is the vital part that can never be conveyed by the written word. I’ve heard that the store was a meeting place for some of the early magicians of the era. Can you mention a few who passed through Atlantis? G: Think of any author and if ever they were or are in London, they did or do come here. There have been hugely successful TV programmes and films made from discussions we have had with production companies and another is coming out next year. What is the store’s connection to Aleister Crowley and his books? G: He and Michael Houghton were friends and we stocked his books when an awful lot of places wouldn’t do that. His reputation was terrible and even the novels were too racy for other shops to stock them. 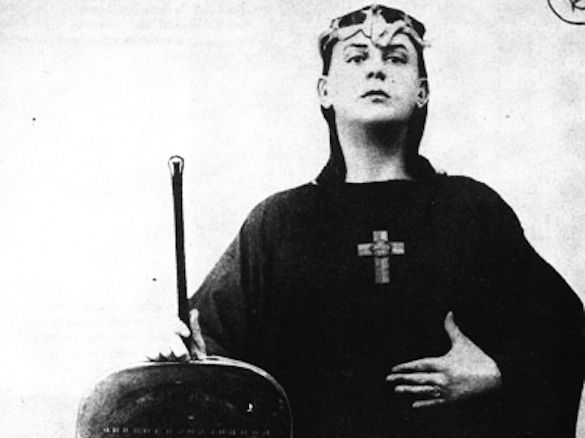 The thing about Crowley was that he was very clever and interesting. He might have been a bit long winded at times but he was still worth listening to as he knew a variety of aspects of magic very thoroughly indeed. He could talk about the latest novels too and really, any place under the sun. What can you tell us about him? G: He would have been the best companion and the worst to go to the pub with as he would have not hesitated to embarrass someone if they bored him. There was no way you could have got him to be quiet if he wasn’t in the mood. In your view, what were some of Crowley’s main contributions? G: His definition of magic as the Science and Art of causing change to occur in conformity with Will is accepted as THE definition. “Do what Thou Wilt shall be the whole of the Law” is a way of saying To Thine own Self be True isn’t it? He wrote on so many aspects of the esoteric sciences and wove them in with the cultural references of his time. He appeals to the intellect like no other writer. 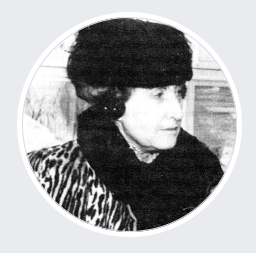 G: Lady Frieda Harris was the spur for Crowley to write The Book of Thoth and that was the longest modern explanation of the Tarot. He wove the meanings of the cards into the Qabalah and I-Ching and properly established them as a valid divinatory system. She was gracious, elegant and discrete and must have been driven to distraction by him. She remained charming throughout and that must have quite disarmed him frequently especially when he’d been behaving badly. She was kind and practical as well and I think he should have been a lot more vocal in his praise of her. G: I staged my first exhibition of Austin Spare way back in 1986. Bali and I have co-curated five now and we were the first people the family ever lent to. Again, Bali didn’t have to be interested but she is and I am pleased that she has a considerable collection of his work herself. A Working class hero is something to be as John Lennon said. Spare used his talent as the best draughtsman of his generation to draw his visions of the great unknown. Like Crowley, he was often impoverished and often ill for months on end but his Art always shone. Ross Nichols? G: Ross Nichols and Michael Houghton were great friends too. I tell people that Michael knew everyone and it seems to be true! (People think I do now, but I’m still working on that!) They edited The Occult Observer together. It ran to 6 issues and is a fascinating snapshot of the scene in the 1950’s. I knew Ross from the 1970’s and he was notable that he wore shorts all year round and had a suntan. People just weren’t perma-tanned then except on television. He had wrinkly old elbows and with them and his legs, they made him look like and old tree. In fact, Old Tree was my name for him although I never told him that. The Atlantis Bookshop provided fertile ground for the early days of occultism to take root in England. If you have ever experienced a store or other public place being the center for your own occult community, imagine what that might have been like in a by-gone era, before Paganism was part of pop culture. 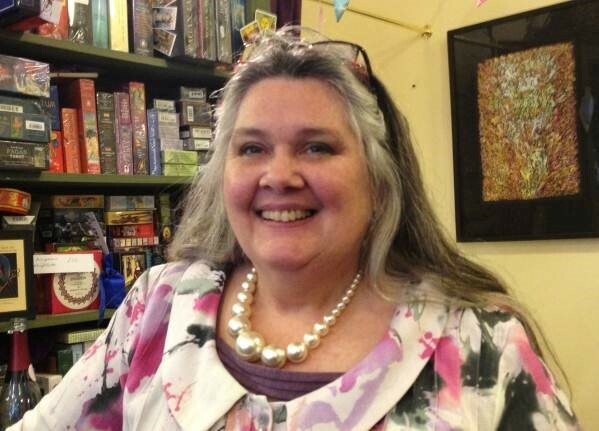 According to Geraldine, the Atlantis Bookshops provided a meeting place for Gerald Gardner’s first London coven. The store also published Gerald’s book High Magic Aid, facilitating him to not only spread the word about the Craft, but to use the book as a barometer to see if someone was a good fit. The store’s “Gerald Gardner Room” recognizes this seminal connection. Likewise, the Atlantis Bookshop also published Crowley’s book, Liber 777. (It seems the store not only provided the place, but the means for ideas to spread.) Geraldine describes Crowley as the store’s “most notorious customer” and a great friend of Michael Houghton, the founder. The store honours these early magickal figures with the “Ancestors Corner” which pays tribute to the founders, Geraldine’s Dad, Helena Blavatsky, Aleister Crowley… There is an original portrait of MacGregor Mathers painted by his wife. Even Tolkien, the ancient Celts, and the Whore of Babylon are included. The store hosts a regular series of events and workshops. Vorig jaar 21 juli daar mijn boek gepresenteerd, en het was een geweldige ervaring. Niet alleen om zoiets in de Atlantis Bookshop te doen, want dat was al een bijna bovenaardse ervaring, maar ook om in Londen te zijn en heerlijk door de stad te banjeren, lekker naar het British Museum te slenteren en daar een paar uur doorbrengen, tot het moment dat wij de presentatie gingen doen voor een stampend volle Atlantis (wat al snel kan, zo groot is die winkel niet) en een etalage gevuld met alleen maar mijn boek… Ja, dat is iets waar ik nog met veel plezier aan terugdenk! In 1988 ben ik daar met de covenleden van Elsy en Maxine als new-bee wicca geweest. Vond het een interessante boekwinkel met onverwacht interessante bezoekers waaronder een (echt? )paar geheel in het zwart gekleed en echt bont om de schouders. 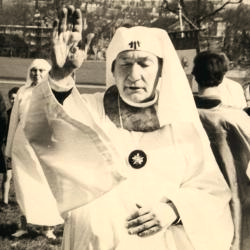 Ze kwamen aan in een opvallende Jaquar en rumour got it dat het Satanisten of Luciferianen waren. Voor ons Hollandse provinciaaltjes was dat natuurlijk ongehoord. Heb nog een paar boeken van Aleister Crowley gekocht en daarna naar de pub om al die indrukken weg te werken. Want in Nederland hadden we zoiets niet. Nu, zelf door de wol geverfd en nergens meer van echt onder de indruk zijn, zijn deze eerste herinneringen memorabel te noemen.